the sales funnel has been marketing dogma. But while its simple three-stage view of the buying process gave shape to traditional marketing, it doesn’t reflect the way prospects buy today – their customer journey has changed dramatically. Technology has revolutionized sales and marketing, forcing us to re-examine every tenet and recalibrate every strategy for the digital age. And yet, somehow, the sales funnel has remained intact. Until now. 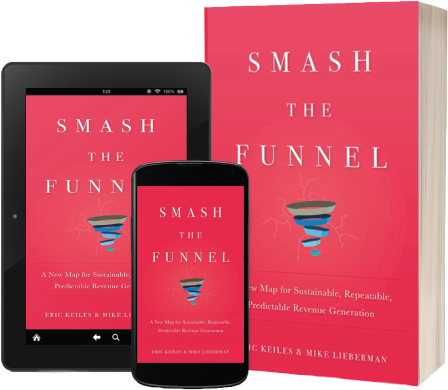 In Smash The Funnel, Eric Keiles and Mike Lieberman introduce the Cyclonic Buyer Journey™, a paradigm-shifting view that finally puts the customer at the center of the marketing, sales and customer service delivery process. Thanks to digital media, customers have access to more information than ever before. Websites, social media, videos, messaging apps, email, ads – prospects are overwhelmed by a whirlwind of content, and it has added time and complexity to their decision-making process and buyer journey. 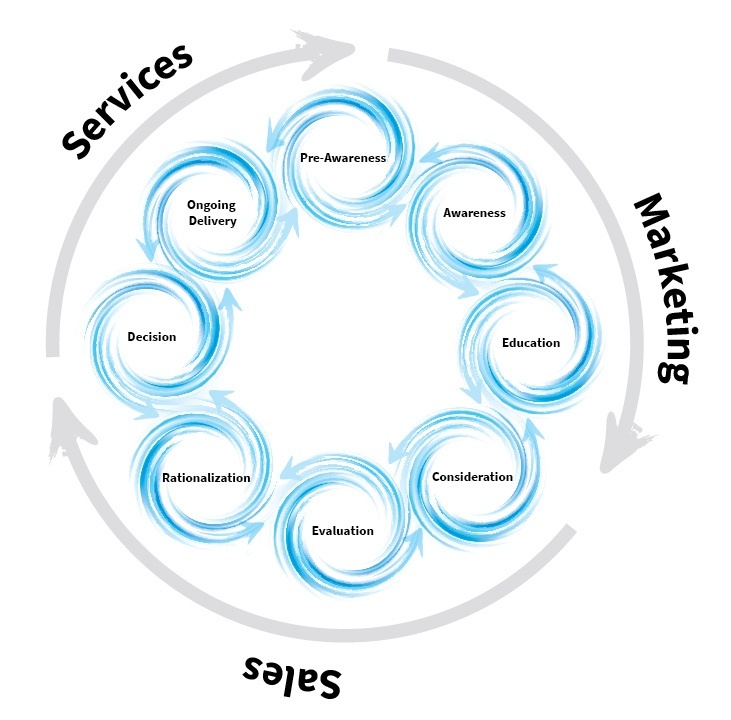 To account for this added chaos and uncertainty in the minds of prospects, Keiles and Lieberman have developed an inventive new vision of the buyer journey, reimagining it as a series of eight interconnected cyclonic stages, each defined by distinct experiences. Often chaotic, and sometimes confusing, prospects can enter the buyer journey at any stage and encounter information from any stage at any time. Depending on the guidance they receive, prospects can move seamlessly through the cycles, bounce back and forth between stages or become stuck in a single cycle. Through rich storytelling and real-world examples, Keiles and Lieberman explore in detail each stage in the cycle and the mindset of prospects within it. 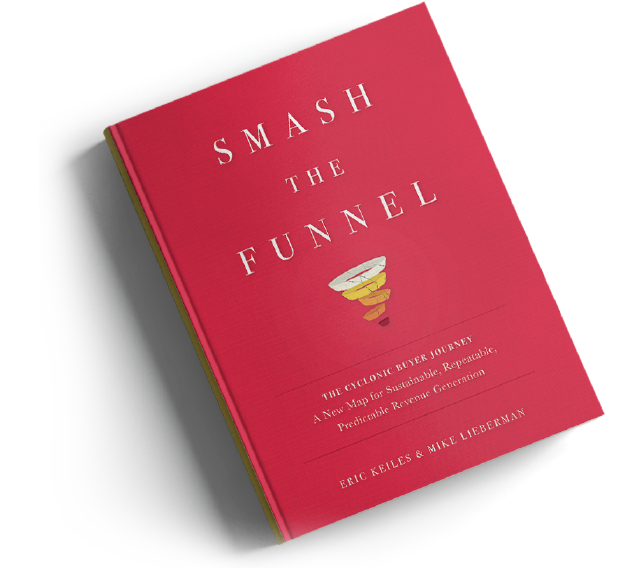 A candid and colorful look at the modern customer experience, Smash The Funnel’s aim is to provide an updated map, help you ask better questions about your customers and their needs, build better revenue generation plans and arm you with the tools to grow your company faster. Learn how to plan, deliver, track and use technology to drive revenue through a remarkable customer experience.